The foundation of a medieval stronghold in Náměšť nad Oslavou has not been specified till now, but it is supposed that the town of Náměšť was founded in the valley of the Oslava river about 1220. The first written reference to the settlement of the place comes from the 1234, when Budiš from Náměšť from the family of lords of Lomnice was signed as a witness on the deed of donation to the monastery in Oslavany. 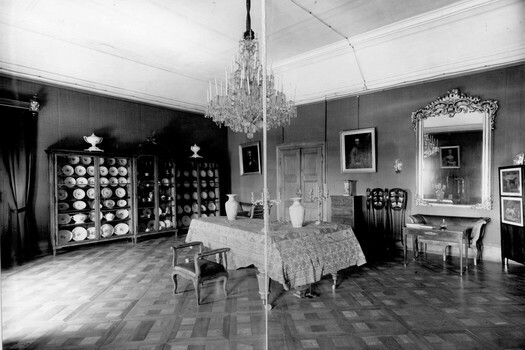 The members of this family were the first owners of the former castle. The only preserved thing from that time is the oval stone tower and a part of castle masonry. From 1399-1437 the owners of the castle were the lords of Kravaře and then for a short time Matěj Švamberk fof Skviřičín (1437-1448), Znata of Prus and of Melice (1448-1455) and Ctibor Tovačovský of Cimburk (1455-1464). In 1464 the castle returned to the ownership of the lords of Lomnice. 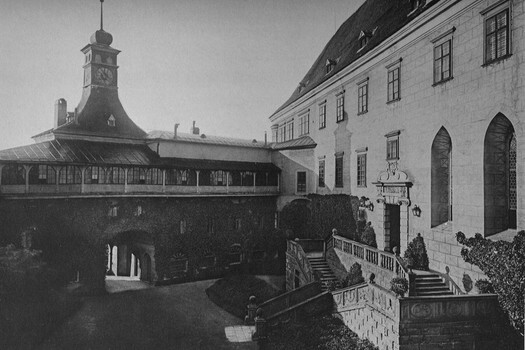 As a result of the marriage of Libuše, a daughter of Jan of Lomnice, with Bedřich (Fridrich) of Žerotín the castle became the ownership of the important Moravian family of Žerotín. Following the year 1583 the estate of Náměšť, which consisted of forty manors at that time, was inherited by Jan Diviš of Žerotín, a brother of the famous Karel of Žerotín the Older (1564-1636), who became the lord of Náměšť due to his brother's nonage. At this time Náměšť became an important centre of cultural and social life in Moravia and it is important to mention the economic development of the surroundings. It was the Žerotín family who rebuilt the former castle to the spacious renaissance castle. Žerotín family also supported the printing shop of Jednota Bratrská, which was in 1578 transferred to the nearby village of Kralice and where the first Czech grammar book or the famous Bible Kralická (the Bible of Kralice) was printed. In 1628 Karel of Žerotín the Older sold the estate of Náměšť to the imperial general Albrecht von Wallenstein, who relinquished the Werdenberg family. The Werdenberg family remained the lords of Náměšť till 1733. For the next ten years the castle belonged to Adrián of Enkenvoirt. 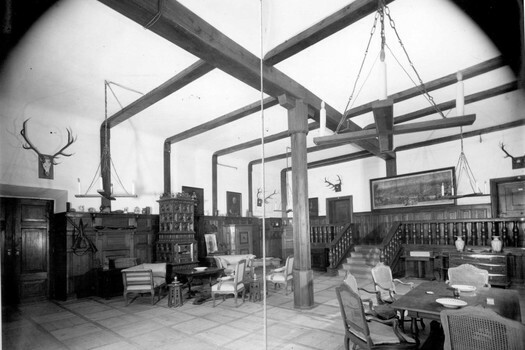 The estate then came, due to the heir ship, to the ownership of the Kufstein family. 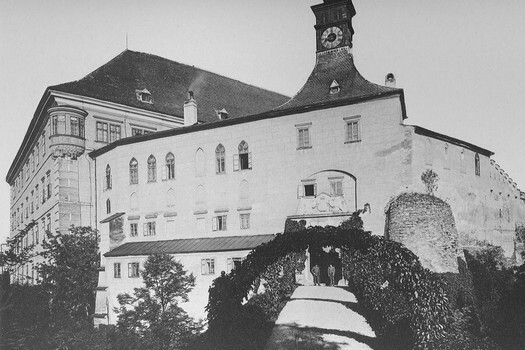 In 1752 the castle was bought by Bedřich (Fridrich) Vilém Haugwitz. 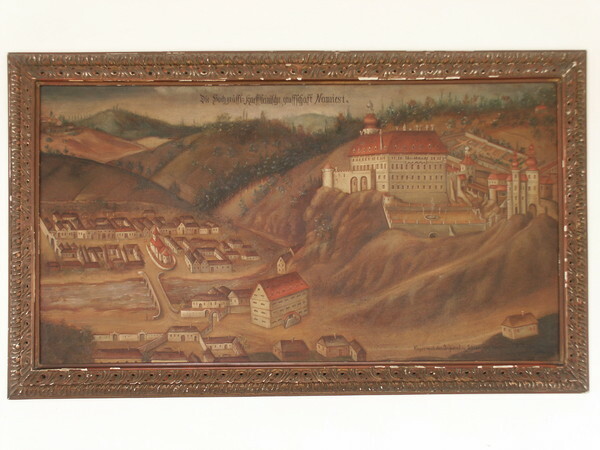 During the ownership of the Haugwitz family Náměšť was coming through the largest development in the history, both economical and agricultural but mainly cultural. In the end of the 18th and the first half of the 19th century when Jindřich (Henry) Vilém Haugwitz established in Náměšť the important centre of musical culture. 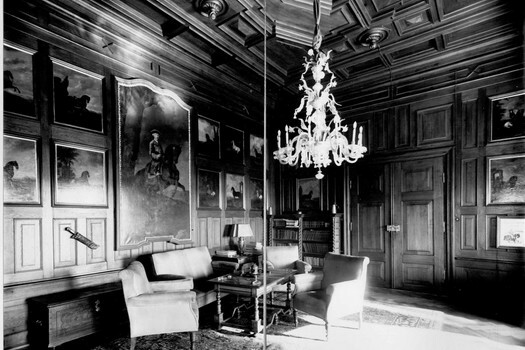 The Haugwitz family remained the lords of Náměšť till the end of the World War II, when the last owner Jindřich (Henry) and his family were forced to leave Náměšť due to the presidential decree of Edvard Beneš. The castle was selected as a summer seat for president Beneš and it was, mainly the second floor, renovated for his occasional stays in Moravia. However, he spent just a short time there in 1947. 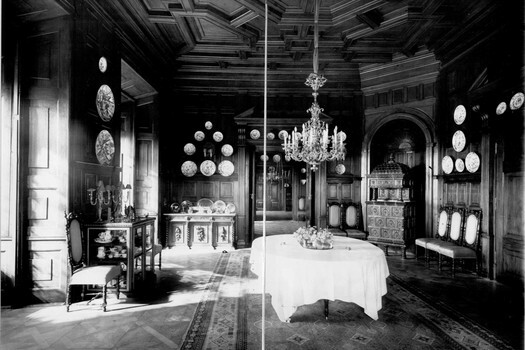 Two years later a part of the castle was opened to public and a unique exhibition of tapestries and rugs was installed inside. In 2001 the castle was declared the National Cultural Monument.